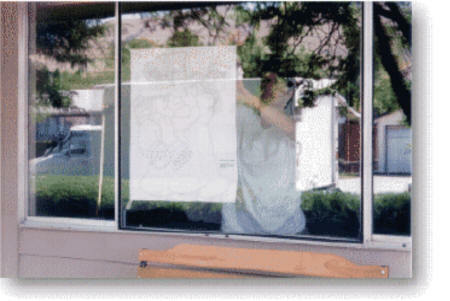 Tape pattern to glass on the opposite side that you'll be painting on, with printed side of pattern toward the glass. 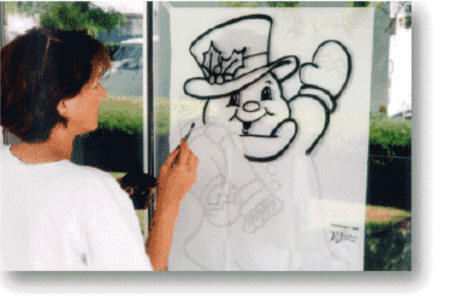 With a liner brush, paint pattern outlines with black. 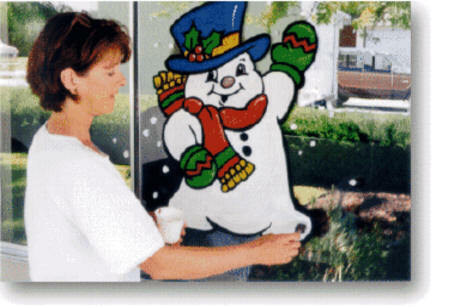 Allow paint to dry before going on to step 3. Fill in with color following the handy color key and the numbers on each part of the pattern. Just like painting by number.